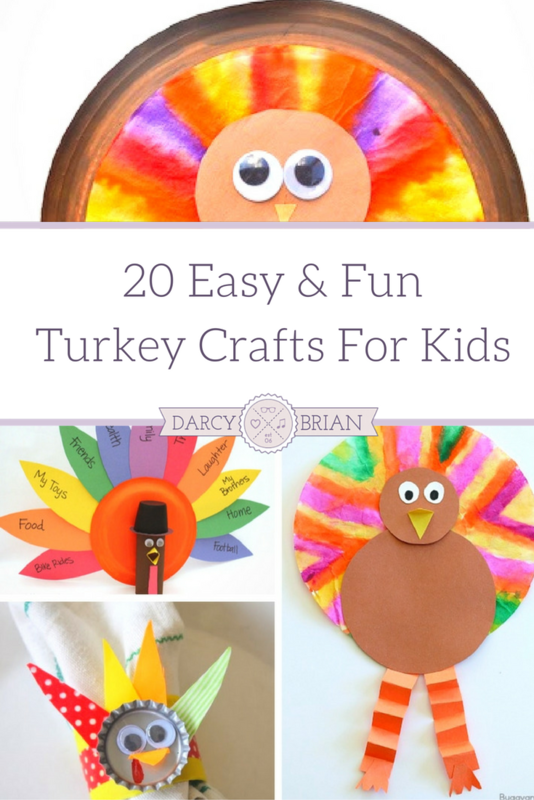 I love this list of turkey crafts for kids! It's just what I need to keep the kids happy and busy the week of Thanksgiving while I am cooking, baking, and cleaning. From classic ideas using the toilet paper roll, to fun new turkey inspired crafts, you are sure to love this fun list! Turkey crafts are an absolute must for celebrating Thanksgiving. Even as an adult, I want to trace my hand and color it to create that classic turkey hand print idea. With this list, I can go back to my childhood and make super fun turkey crafts with the kids, and nobody will be the wiser! I tend to keep basic craft supplies on hand, but for these, you may look toward things you have on hand that isn't in your traditional craft basket. Things like empty toilet paper rolls, styrofoam cups, egg cartons, and pinecones all are great features in this list of turkey crafts for kids. Have fun exploring and creating with your kids to help celebrate Thanksgiving as a family. Turkey crafts are a must when it comes time to hang out with your kids during Thanksgiving break. Enjoy the time connecting and even sharing about your own favorite turkey crafts from when you were a kid. They may think it is silly, but one day, they too will cherish those memories. Thanks for all of the fun links!! !